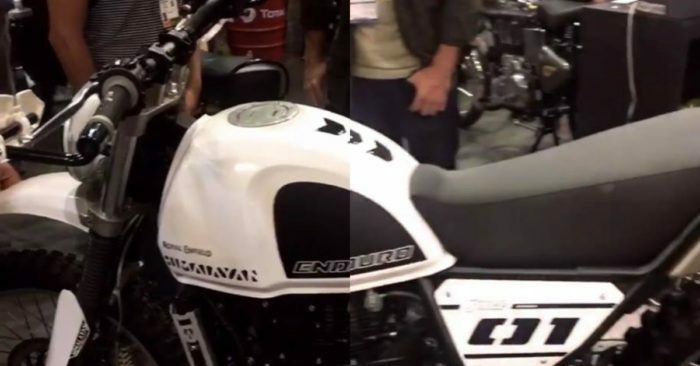 The Royal Enfield Himalayan is famous for its after market modifications. 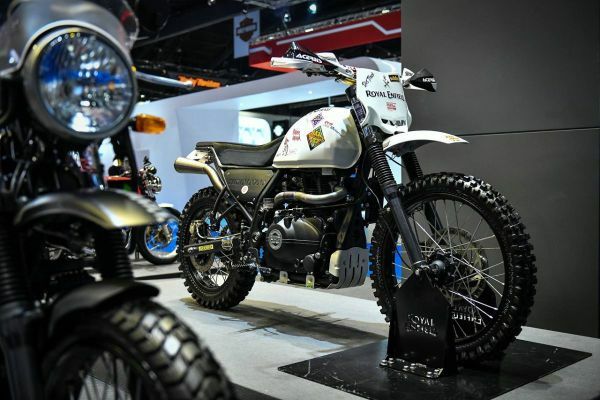 One among the most aesthetically modified was the Custom Royal Enfield Himalayan Scrambler that was showcased at 2018 Bangkok International Motor Show. Recently, we saw another Royal Enfield Himalayan, which was more rugged and purpose built right from the factory floor .The photographs of this Royal Enfield Himalayan Enduro were found from Royal Enfield Himalayan Facebook Group which features a tastefully modified version of India’s first adventure tourer. The Royal Enfield Himalayan Enduro gets an exhaustive upgrade that make it even more off-road ready. The front fender sits very tall. The windscreen and the instrument console has been removed ,the stock handlebar is replaced with an aftermarket unit. The handlebar also gets aftermarket grips and knuckle-guards. The rear luggage carries has been completely removed and the stock split-seat has been replaced by a aftermarket saddle .The motorcycle is fitted with a pair off-road spec knobby tyres which looks beefier and provide better grip. The new Himalayan is worked with custom graphics on the fuel tank along with a tank-pad. The Modifed Himalayan is the carburetor version which is no longer available for sale as it has been replaced by a BS-IV compliant Fi variant. The power and torque output for the FI version of the motorcycle remains same as the carburetor variant which puts out 24.5 bhp @ 6500 rpm and 32Nm of peak torque @ 4250 rpm .